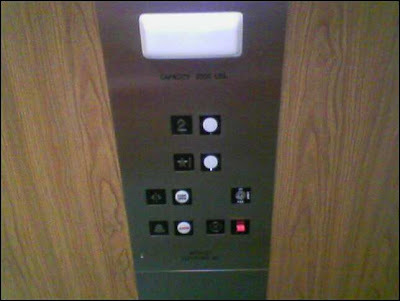 Here is my doctor’s office elevator panel inside the elevator. I think I know why, but I’ll let you guess first. It's cheaper to bulk buy buttons? I think it's actually for the Fire Department. But I am not a smart man.